The Lead Coach for that squad will formalise any movements with a starting date. Parents and swimmers will be informed of any changes as and when they happen. When the Lead Coach feels that a move between squads is appropriate, they will discuss the situation with the swimmer and parents. However, if at any time you feel you want to talk to the Lead Coach about the squad you/your child can make arrangements to do so. 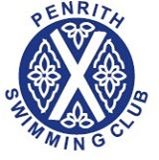 The Head Coach & Lead Coach of Squads of Penrith Swimming Club reserves the right to move swimmers at any time from any squad.